Mauritius honeymoon: complete guide to a paradise! Mauritius, with its gorgeous beaches and romantic accommodation venues, is a honeymoon destination that you will never forget. Your wedding day is one of the most important days of your life. It’s an exciting time that you will never forget. You want to carry the excitement on for a while, and spend some quality romantic time together, before you continue on your journey through life together. 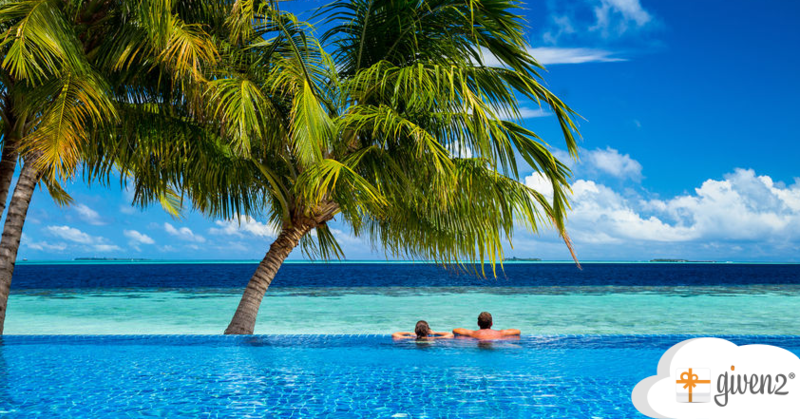 This is why it’s so important to choose the perfect honeymoon destination. 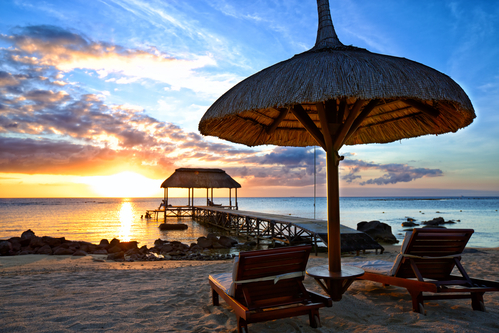 There are plenty of reasons why Mauritius is such a popular choice with honeymooning couples. It has all the benefits of being a tropical island but does not have a monsoon season. The climate is good at any time of the year. Mauritius is also a place where you can have the type of honeymoon that is ideal for you, whether this involves lying next to each other on the warm sands, exploring the underwater reefs or browsing the food and local goods available at one of its colourful markets. This guide will help you see what Mauritius has to offer as the ideal honeymoon destination for you. There are lots of things that come together to help you decide when it is the best time to get married. The honeymoon is one of them. If you want to travel immediately after the wedding, you need to make sure that it’s the best time of year for you to go to your chosen destination. 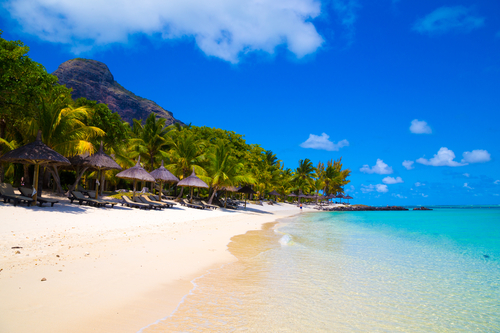 If you decide to have your honeymoon in Mauritius, the best weather is normally to be had from June to October. If you have your heart set on diving while you are there, you should travel from October to December or in March or April. August is usually the best time to find good conditions for surfing. 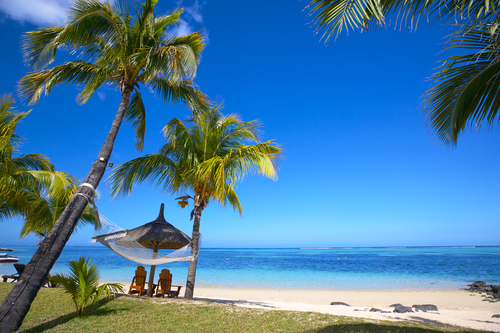 Cost is also likely to be a concern, especially following an expensive wedding; for a more affordable honeymoon in Mauritius, it’s normally best to travel from late April until the end of July. All of the beaches in Mauritius are fabulous, but here is our choice of the best ones for you to check out. • Tamarin Beach – a romantic place for walking hand in hand as the sun goes down, or for trying your hand at surfing during the day. • Flic en Flac Beach – one of the best destinations to snorkel and explore coral reefs for the first time as a married couple. • Poste Lafayette Beach – A tranquil location with beautiful coves to explore as well as an excellent kayaking venue, if you want to try something different. • Grand Bay Public Beach – A popular destination for sailing and fishing. • Blue Bay Beach – Famous for activity on and under the water; this is a venue for snorkeling, diving and windsurfing. A big part of going on honeymoon is the time you get to spend relaxing together and enjoying the start of your married life. Most couples want more than that though. They want to explore and to be able to enjoy experiences that they may not live again. Mauritius is the perfect place to find this type of experience. Reaching Black River Peak is an adventure. You hike in mountainous territory, through foliage, to emerge at a height of 830 metres where you can experience magnificent 360 degree views across Mauritius. It’s important to note that there can be a lot of rain on the way and the paths can be slippery so you need to wear safe footwear. The views are worth the effort though; this is an experience that is truly breathtaking. If you are adrenalin junkies, the private reserve of Domaine de L’Etoile is well worth a visit. As well as being home to the longest zipline in the world this is also a place where you can take part in archery sessions and ride quad bikes and horses. There is nothing quite like a stunning landscape to make a honeymoon truly romantic. A collection of sand dunes may not sound like much, but Chamarel Seven-Colored Earth is a beautiful sight to witness. The dunes are coloured in an array of different shades including red, brown, green, blue, yellow and purple. This is definitely the place for some honeymoon photography. Some of the biggest attractions of Mauritius lie underwater. No honeymoon would be complete without taking a look at the colourful marine life and coral reef in the clear blue surrounding waters. You can choose to snorkel or dive during your visit, or you may prefer to book a submarine trip which takes you down to around 35 metres below the surface. You may want to get as much from your honeymoon in Mauritius as possible, by exploring and having adventures during the day. Alternatively, this may be the one chance you get as a married couple to spend all your time relaxing amidst glorious scenery. Whichever type of honeymoon experience you prefer, as the sun sets on the day, you should spend some time enjoying the night life, including a visit to bars and clubs that locals and travellers recommend such as Banana Beach Club at Grand Baie, Kenzi Bar at Flic En Flac and Sega Bar at Trou d’eau Douce. 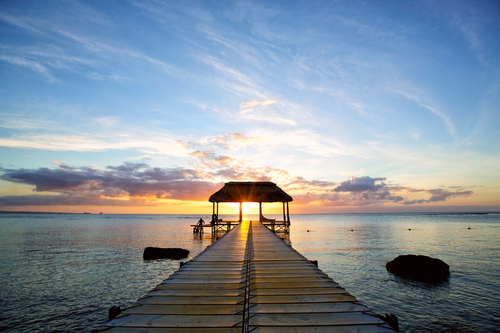 Any Mauritius honeymoon should be a very special occasion. You choose the type of honeymoon that you want to have, from energy and exploration to pure romance and relaxation. You may want to opt for the perfect combination of a little of everything. Best of all, you get to enjoy all of this in a stunning tropical paradise that you will never forget throughout your life together. 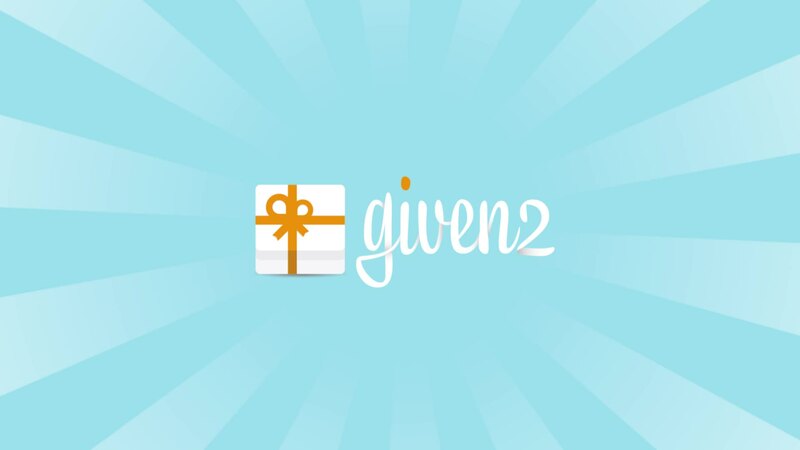 Given2 is an all-in-one platform to manage your wedding registry. Among other desirable features, it allows you to easily add your honeymoon trip to the gifts your friends and family will fund. 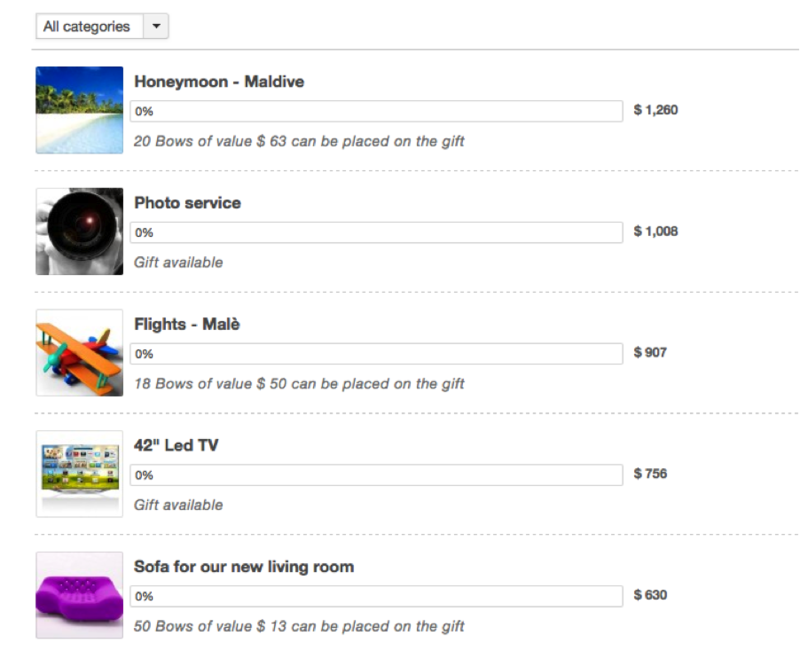 Set your honeymoon cost and add a picture of your destination. You can split up the total cost of your honeymoon in units (called “bows”), and let your friends and family contribute by buying any desired number of bows! For more information about wedding registry with Given2 see my recent post Wedding Registry: Why choose Given2.